If you’re searching for a home close to the waterfront, there’s nowhere better to hang your hat than Park Shore. You’ll find luxury beachfront condos and Bayfront homes in this southwestern Florida community that’s situated adjacent to the Park Shore Promenade and Beach Walk Commons. Twenty-five high-rise condos tower above Bayfront mansions with spectacular ocean views of the Gulf of Mexico and Naples Bay. Parks encircle the entire area to make you feel like you’ve truly settled in a private tropical paradise. Homeowners may also enjoy Park Shore Beach, a pristinely-white sandy beach tucked away on the development for residents to enjoy privacy while swimming, fishing and beachcombing. Many properties also feature Gulf access for boats. Renovations to the condominium buildings started in the 1990s, and property buyers may choose from several properties to find just the right one to suit their personal taste and needs. Le Rivage at Park Shore: built in 1996 and recently remodeled to include hurricane glass on the exterior. This shopping and dining area really makes living in Park Shore a pleasure. There’s plenty of waterfront shopping and dining in over 45 shops and restaurants. Visiting the Village only requires a short walk or bike ride to get there. Residents and visitors will find fashion, art galleries and jewelry. The choices in dining vary from casual dining at the pub to fine seafood and steaks. 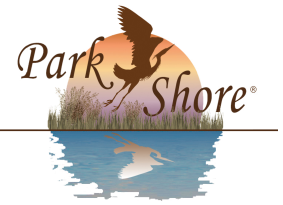 The voluntary HOA for Park Shore is very actively involved in community projects and also host social events and gatherings for residents of the community. Park Shore consists of single-family homes, mid-rise condos, high-rise condos and commercial real estate properties ranging in price from $175,000 to $13 million+. View our listings below, and then call us to schedule a private showing.